During the active fire season, the National Interagency Coordination Center (NICC) and each geographic area predictive service office is staffed seven days a week to support the assessment needs of fire program managers, incident personnel, and groups coordinating regional fire management resources. 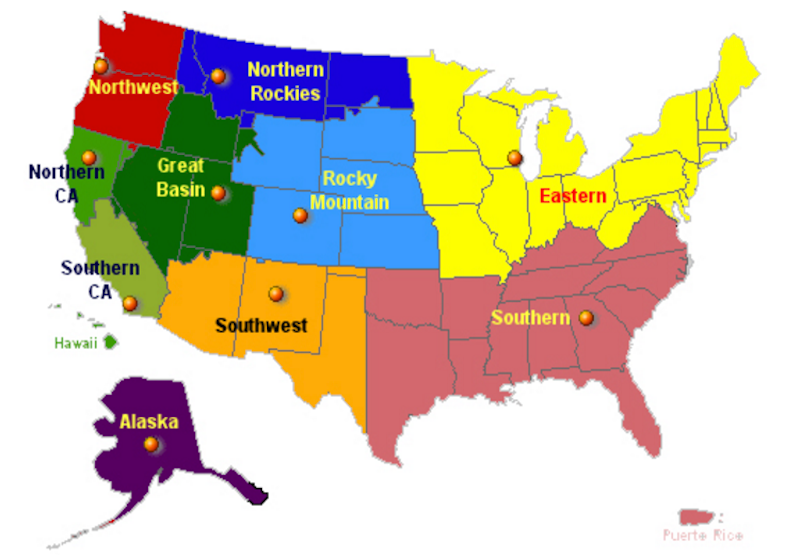 All the geographic area predictive service products can be referenced from the National Interagency Coordination Center (NICC) outlooks page. 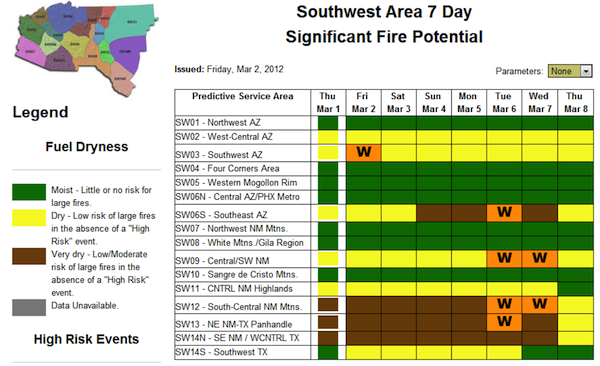 A National 7-Day Significant Fire Potential Outlook is produced each day. This 7-day outlook also includes forecasts for the weather elements, fuel moistures, and fire danger indices that are used to produce these potential classifications. These 7-day forecasts represent averages for areas defined by the geographic area to be climatologically distinct. Other standard products include daily, monthly, and seasonal assessments. Several produce multi-media briefings that can be linked from the outlooks page.